Doireann offers a FREE first / introductory lesson! 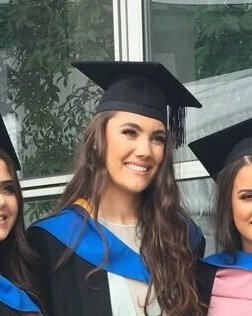 My name is Doireann, and I have recently qualified as a TEFL/ESL tutor. I am looking to begin my journey as a private TEFL/ESL tutor. I can provide one-to-one, one hour lessons to student's where English is not their first language. I have experience as a teaching assistant in my local Primary School. I am looking to branch into private tutoring as I feel it would be more beneficial for the individual students and I can give the student my sole attention. I will create bespoke lesson plans to suit each student's needs, facilitating their level of English, interests/hobbies. My first lesson will consist of a needs analysis, where I can determine the student's level of English and what they hope to achieve, this will be free of charge. It will also give the student a chance to ask me any questions they may have. My lessons will be fun and interactive so the student's will never be bored.